We’ve enhanced the career journeys of over 40,000 people. 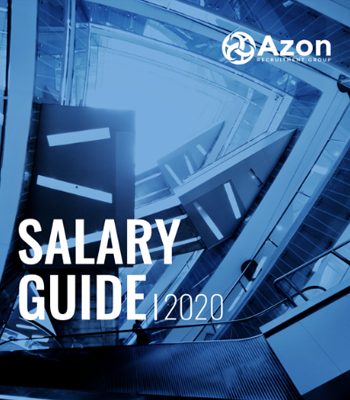 Azon Recruitment is our Contingent Recruitment business that recruits roles across all Corporate functions including Business Development, Investment, Finance, Legal, Operations and Support roles. AES International Executive Search delivers Retained Executive Search assignments for C-Level and Strategic hires. Azon Digital specialises in 3 core areas based on a design-build-run framework supporting our Clients in their end to end Product strategy; Creative Design, Emerging Technologies and Change & Transformation. Azon Capital Markets is a dedicated Front Office Financial Services business run by ex Traders and Capital Markets experts who have worked in Global Financial Centres. Keith found me the perfect job in the perfect company and successfully coached me for the interview! Conor reached out to me regarding a new role he was working on. I found him very professional, discreet and hands on. From the start he was managing my expectations and talking me through the process. Thanks again for everything. Seán Feighery had a number of interesting positions which he spoke to me in great detail. He has a real in-depth knowledge of Construction companies in and around the Greater Dublin area. I will definitely recommend Azon suggesting they speak with Sean. I found Tony very professional. He found me a position ideal to my needs in a very short time. Tony kept me informed throughout the recruitment process and followed up afterwards to ensure I had found a good fit. I wouldn't hesitate to use his services again. Ronan Colleran is straight talking, to the point with no messing around. He steered me in the right direction. If you're looking for advice on career prospects, drop in and have a cup of tea in his offices. It will be a worthwhile conversation. Tony Barry was highly professional in the recruitment process. Very helpful and has made sure the transfer was as easy as possible. I would highly recommend Tony. Rory Corbett always made me feel a valued client and ensured he kept in constant touch throughout. He also ensured that my initial securing of my role and onboarding was undertaken quickly and effectively. I did not make it easy for Seán Feighery, but he was still able to get me several interviews and was really good at helping me prepare. I have never encountered a more enthusiastic and helpful recruiter. Would highly recommend him when looking for a new job. I felt well informed at all stages thanks to Seán Fitzgerald. His guidance and encouragement at every step had me well prepared. I have no hesitation in recommending Azon in the future. From the very start Keith was amazing in securing my future role. He gave me advice and direction ahead of interviews and great tips. He was with me throughout the whole process. I found Tony to be honest and trustworthy at all times during my time dealing with him. He was very professional throughout the process and guided me well as I searched for a new position. I found Tony to be professional, approachable and informative. From initial stages to interview stage Tony was very helpful and responsive. I would highly recommend Tony to anyone looking for new positions. Sean Feighery made contact with me on a job he thought I may be interested in & asked me what I was looking for. Even once I had accepted the job Sean stayed in contact to make sure everything went well. Tony was dedicated throughout the recruitment process and listened to what I wanted from a prospective employer. He was always contactable and available to offer advice when requested. I had the pleasure to meet Ruth to discuss new potential work opportunities. Her professionalism, legal background and networking was very helpful and I highly recommend her as a head hunter. I couldn't recommend Ruth highly enough. Throughout the process, from initial conversation to acceptance and handing in my notice, Ruth was in constant contact with helpful advice, interview preparation and reassurance. "I cannot recommend Gillian highly enough. She was very professional and accommodating to meet with me to discuss a role." Kevin placed me in a Private Equity role which was something I was really looking for. He completely understood what I was looking for and was very proactive presenting some opportunities he was managing and advising me about the roles took care of all details including the negotiation process. It was a pleasure to work with Kevin! Kevin immediately understood the type of role I was looking for and soon came back to me with some excellent opportunities. Kevin was very proactive, committed to facilitating the process and a pleasure to work with. I would highly recommend contacting Kevin when exploring a move. Having identified the best individuals to fit with our requirements, Ronan & the Azon team managed the external recruitment process professionally and to our complete satisfaction and we are very happy with the individuals who joined our team. I was impressed by Ronan’s in-depth knowledge of the market and their creative and innovative approach to executive search. What I had anticipated to be a potentially difficult process turned out to be one of the most straight-forward and efficient recruitment processes that I have ever had the pleasure of being involved with. Nabil and the Azon teams' timely, solutions focused, delivery of excellent service, connects perfectly with Carne’s commitment to its Clients. It is a pleasure to deal with Azon and I am proud to say they are our preferred recruitment specialist.